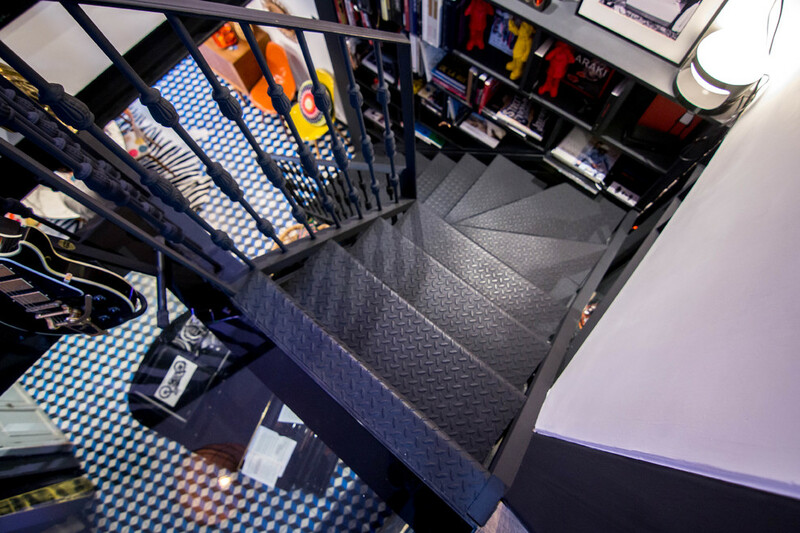 This exciting project gave us an opportunity to design a truly unique part of this already unique home. 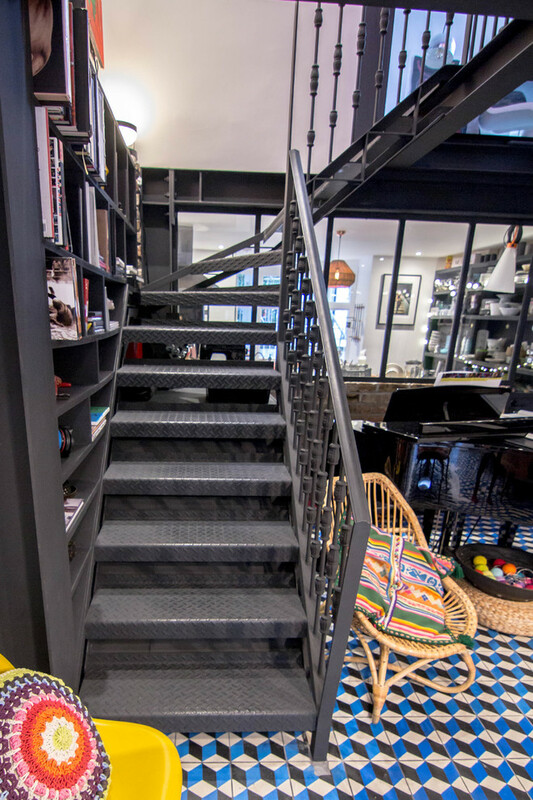 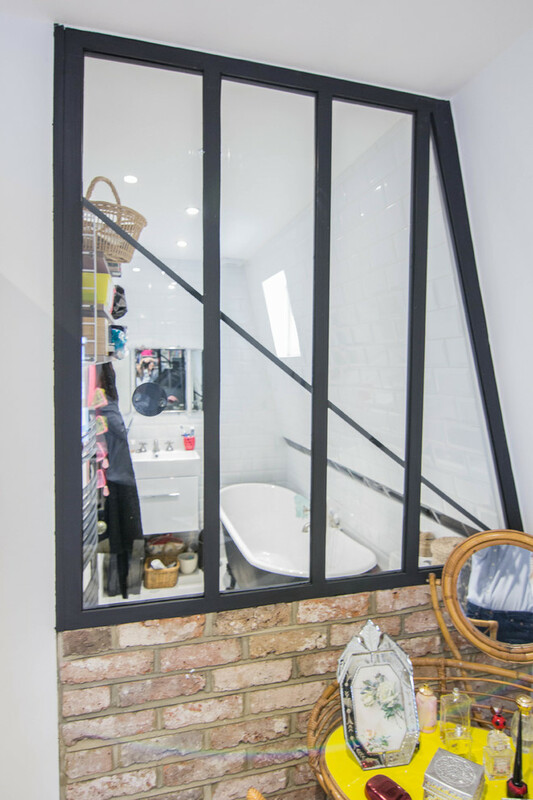 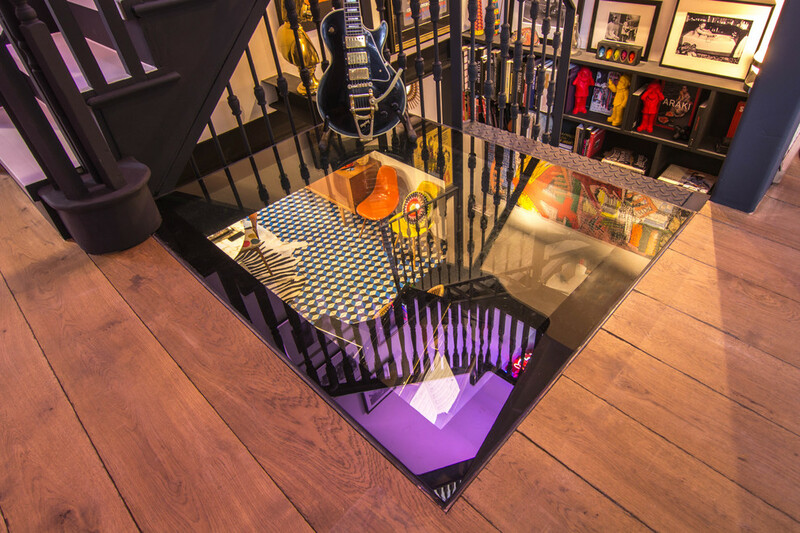 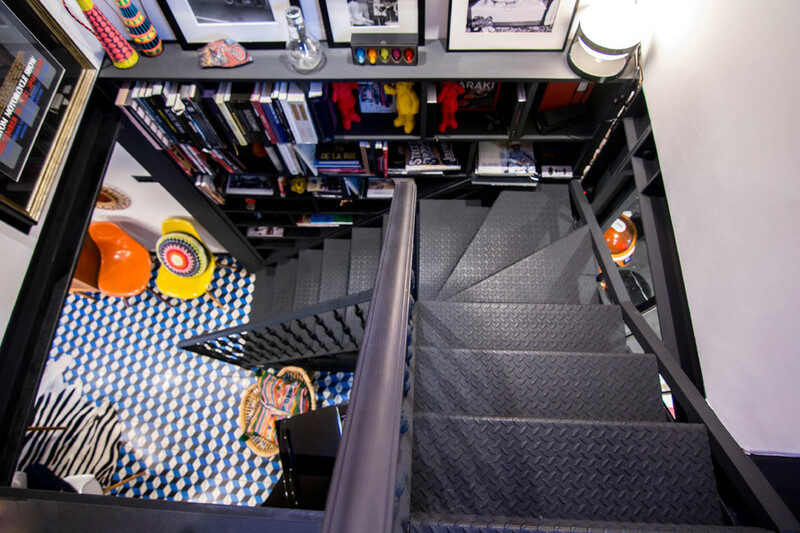 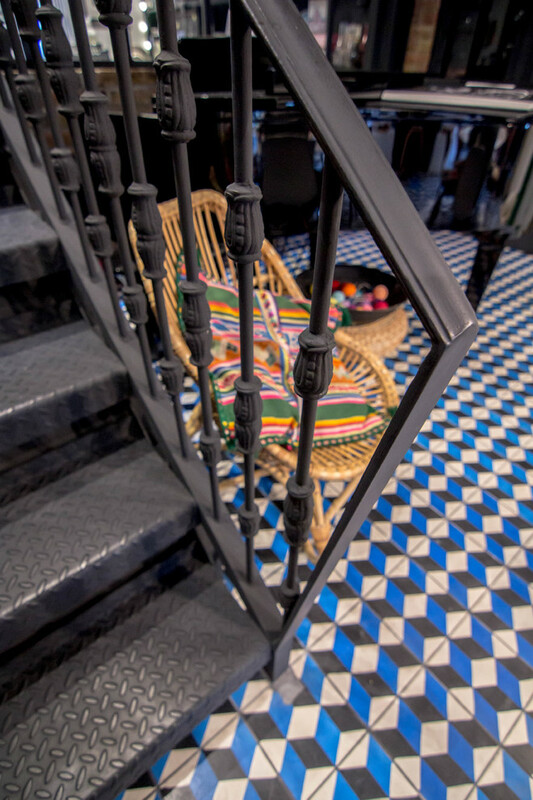 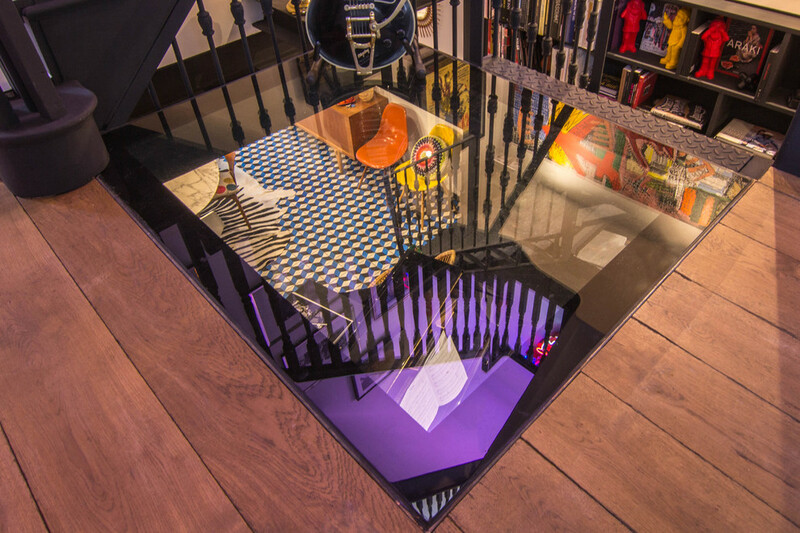 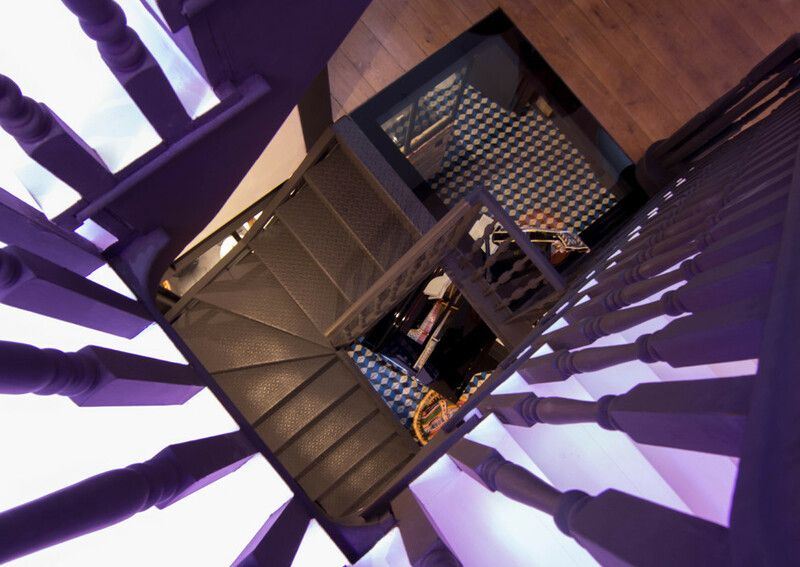 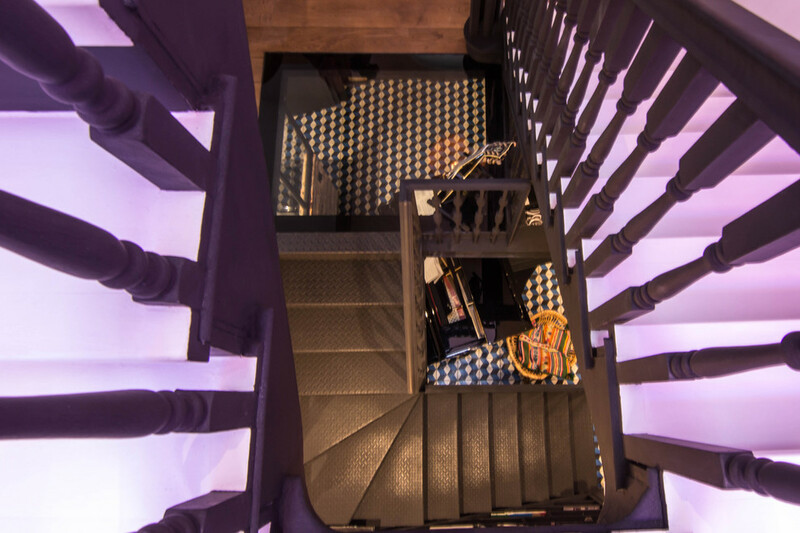 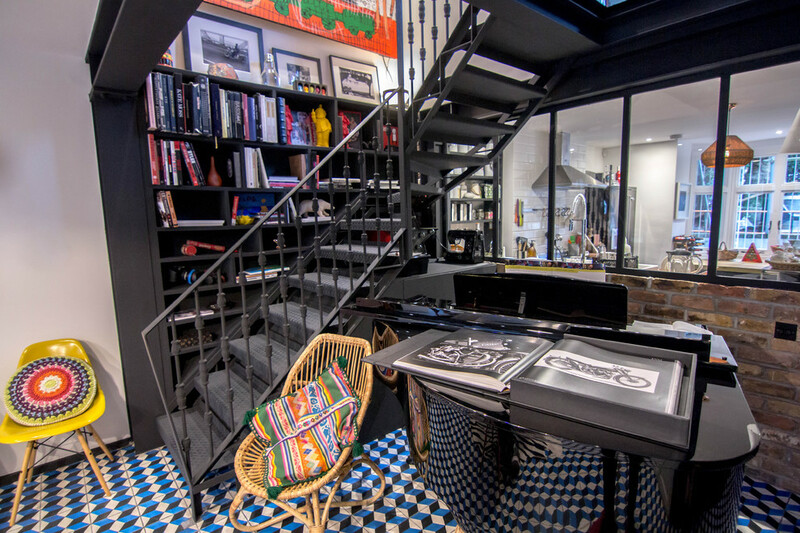 We constructed a metal winder staircase painted black to fit in with the existing décor. 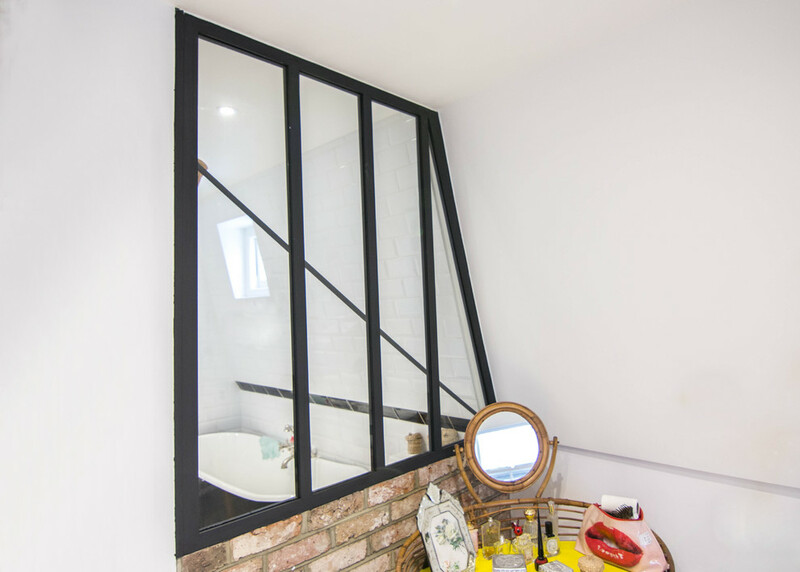 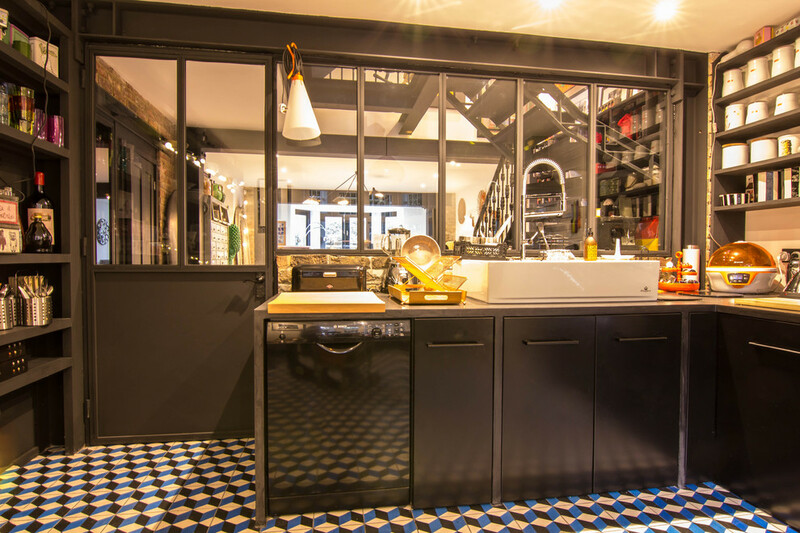 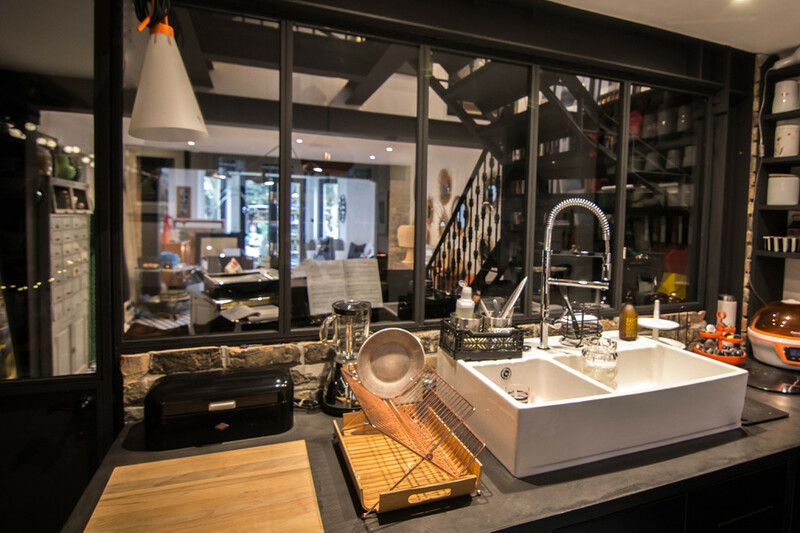 The bathrooms and the kitchen were livened up with mild steel wall panels, doors, and toughened glass infills, all to keep the look cohesive throughout. 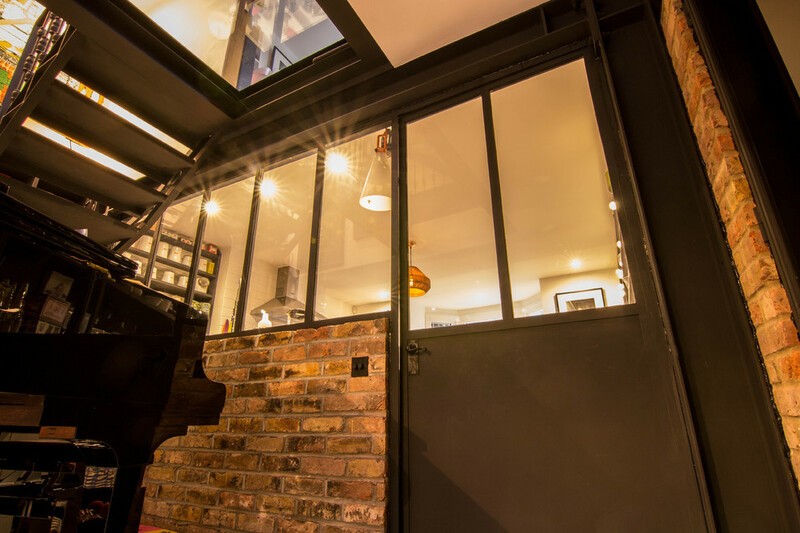 A walk-on glass panel installed on the top floor illuminates the room below and ads to the airy, loft-like feel of the whole place.